Located in Donggan Town of Malipo County in Wenshan, Yunnan, 134 kilometers from the county seat of Malipo County, Chengzhai village城寨村 is an ancient village hidden in the mountains. 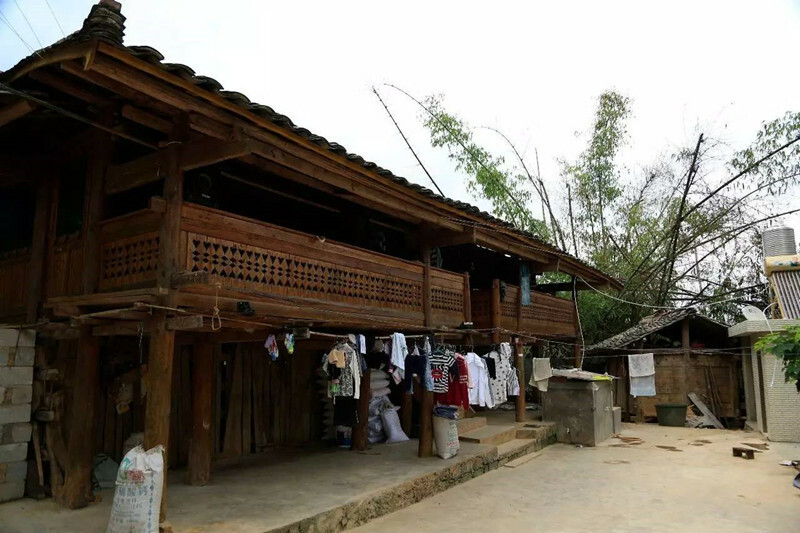 Chengzhai Village, an ancient village of the Bailuo people, with its primitive clothes, strange folk customs and unique stilt style architecture, is listed as the intangible cultural heritage of Yunnan Province, and is regarded as the most traditional village in China. Located in the Donggan Town of Malipo County in Wenshan, 134 kilometers from the county seat of Malipo County, Chengzhai Village城寨村 is an ancient village hidden in the mountains. Chengzhai Village is an ancient village of Bailuo People, compared with Yi Minority in other areas, Bailuo People at Chengzhai Village exist a big difference. Bailuo people remain their primitive costumes, strange folk custom and unique stilt style architecture. 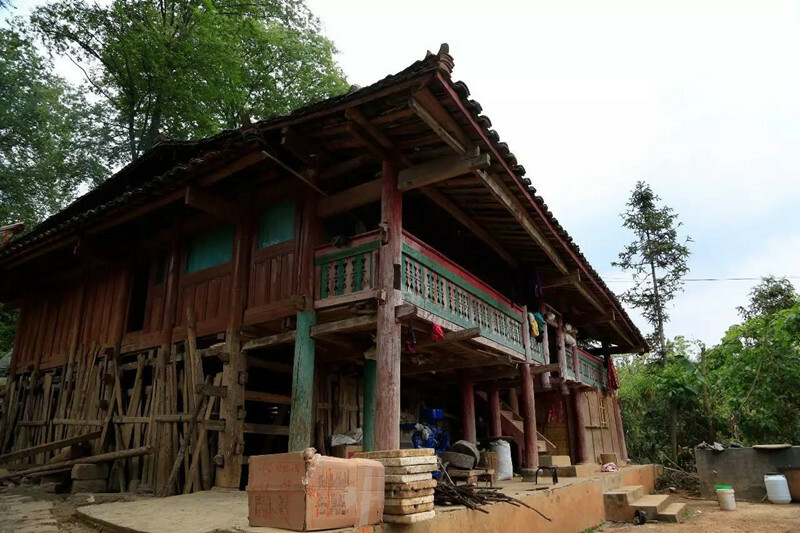 Chengzhai Village was listed as the intangible cultural heritage list of Yunnan Province, and was appointed as the most traditional village in China. The bronze-drum dance was also listed into national intangible cultural heritage protection. Chengzhai城寨 is a comprehensive expression of Bailuo culture白倮文化. The culture remains in the village is authentic and complete, and the connotation of traditional culture is very rich. That is to say, language, oral literature, music, dance, art, architecture art, sacrifice, etiquette, traditional festivals, customs and habits, etc. are organically combined with the natural environment. Bailuo白倮, a branch of the Yi ethnic group, have lived at Chengzhai village for several hundred years. Comparing to other Yi ethnic branches, the Bailuo people differ a lot as far as their clothing, dietary habits and dwellings. 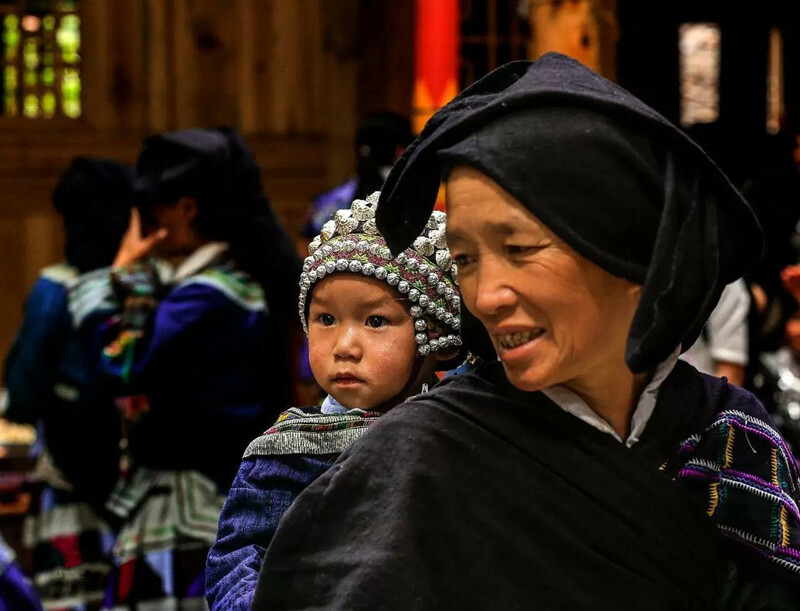 Due to their quaint costumes, exotic culture and distinctive Ganlan(stilt style houses) architectures, Bailuo people have aroused great attention. However, the living habits inside the Bailuo tribe vary, and its profound history and profound ethnic culture have further veiled the Bailuo society. Most Bailuo people here seldom conduct intermarriages with other nationalities, and barely have communications with the outside world. The Stories of Yunnan(Dian Zhi滇志), which was compiled in the Ming Dynasty (1368-1644), once had some records about the Bailuo people白倮人. However, it still remains unknown exactly when the Bailuo people’s ancestors began to move to the southeast of Yunnan. In 2009, Chengzhai Village城寨村 was listed into the second batch of the intangible cultural heritage list of Yunnan Province. It is the traditional architectural style of the Bailuo people, using 52 (56 or 66) columns in eight rows to support the whole building. Such a house normally has two storeys, coupled with a stable. The first floor is for people to live at, and the second is used for storage; and the roof is paved with tiles. 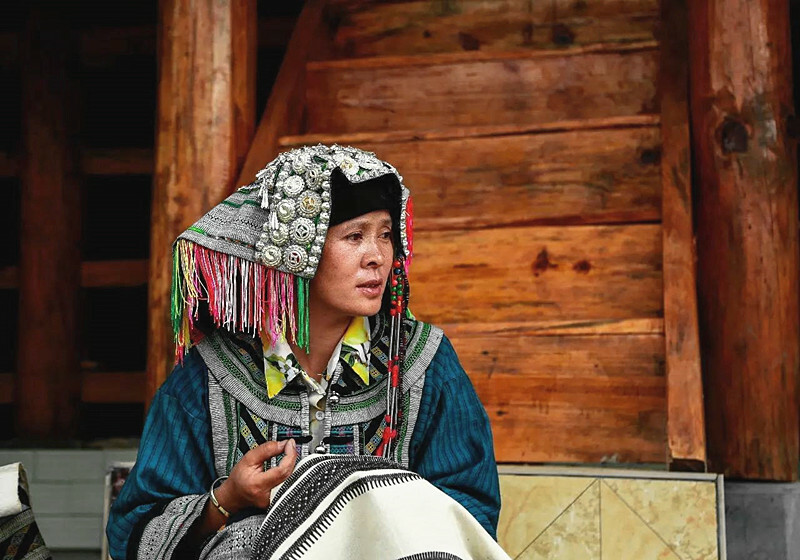 As the typical representative of the Bailuo ethnic culture, Chengzhai Village exhibits the historical and cultural remaining on a real and integral basis. The rich cultural connotations here have included the Bailuo ethnic language, (oral) literature, music, dance, fine arts, architecture, sacrificial ceremonies, etiquette, traditional festivals, and many other ethnic customs. The buckwheat festival is the grandest festival of the Bailuo people of Chengzhai Village. A local legend goes that, in the ancient times, a big fire broke out in the Bailuo ethnic village, torching down all the houses and grains. The villagers were in deep sorrow. All of a sudden, a villager found some grains of buckwheat under a reversed bowl, and grew them in the fields. Several months later, the buckwheat plants brought a harvest, saving the starving village. In order to express thanks to the buckwheat, the Bailuo ethnic villagers determined to spend the three-day Buckwheat Festival on the first Dragon Day of he lunar calendar. People always carry out religious ceremonies during the festival to pray for abundant rainfall. Enriched by the ethnic culture, the batik craft highlights the culture of the Bailuo people who are traditionally adept at making quaint, elegant costumes on their own. Carrying modern aesthetic elements, and with delicate workmanship, it has brought great visual impacts one can’t help marveling at. 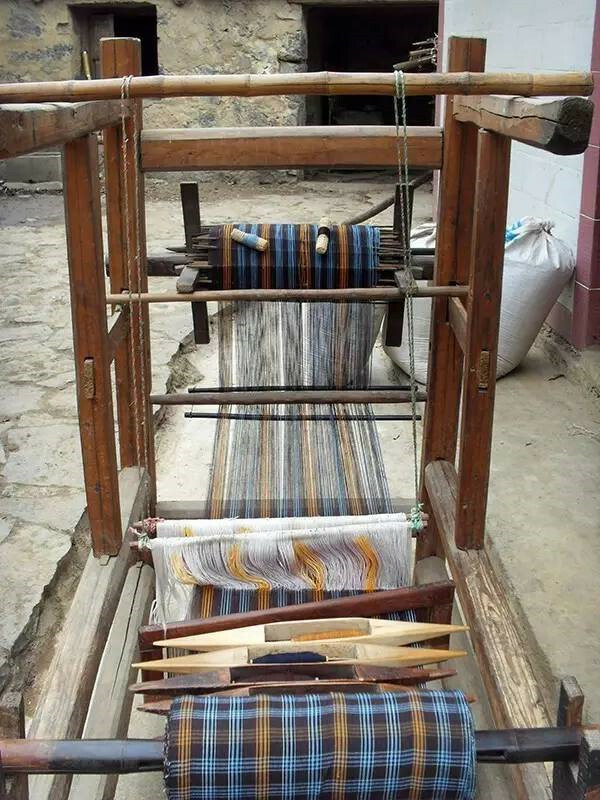 Bailuo people have inherited the ancient weaving skills from their ancestors. Bronze-drum dance is one of the traditional dances of the Bailuo people白倮人. As a kind of dance performed when Bailuo people hold sacrificial ceremonies for their ancestors, it reflects the Bailuo people’s worship for nature and ancestors. Usually, only one person beats the drum, and dancers perform to the beats in a counterclockwise way, singing some solemn tones. The drum dance, which includes more than 30 routines, is a massive entertaining activity of the Bailuo people. It is performed on the fairground of the village and can be joined by at least 100 villagers. In 2007, the bronze-drum dance of Bailuo people was listed as one of China’s intangible cultural heritages. Lu Xiaozhong陆孝忠 was nominated as one of the drum dance inheritors. In the old times, the Bailuo people seldom washed clothes because they believed that people’s souls are attached to the clothes they worn. Therefore, every time they washed clothes, they had to slaughter a rooster for recalling the soul. Today, assimilated by other cultures, the Bailuos have barely kept the tradition. The route is Kunming-Malipo County-Donggan Town-Chengzhai. There are long-distance buses from Malipo County to Donggan Town. Then another 1 hour is needed from Donggan Town to Chengzhai. If you want to take train, you should go to Zhulin Station珠琳站 in Guangnan county first. Then another 2 hours is needed from Zhulin Railway Station to Malipo County. 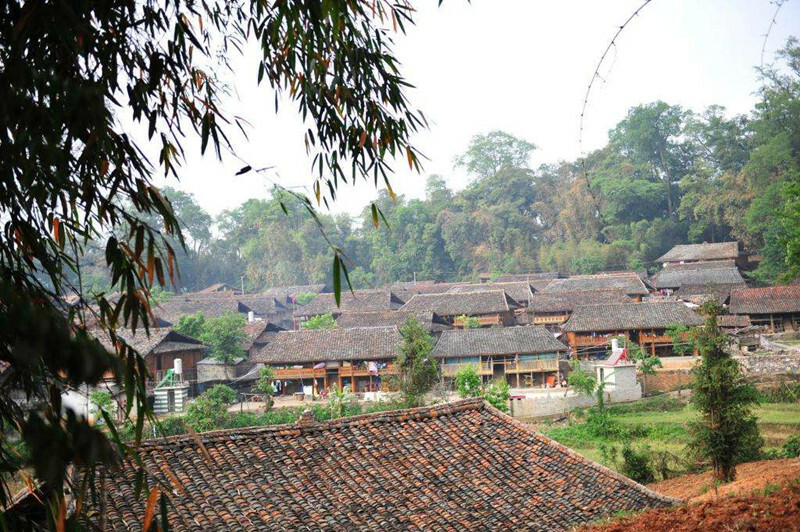 No matter when you go to Chengzhai Village, you can feel the profound history and strong ethnic culture there. Therefore, Chengzhai Village visit is available all the year round. You are suggested to return to Malipo County for overnight, accommodation conditions in Malipo County is better. 1. Learn something about Bailuo culture and Buckwheat Festival荞菜节 in advance. 2. Chengzhai Village is relatively remote, you will spend a long time on the long-distance bus.